Remember lunchables? If you are a mom, you may even know them pretty well right now. I loved lunchables when I was in school. 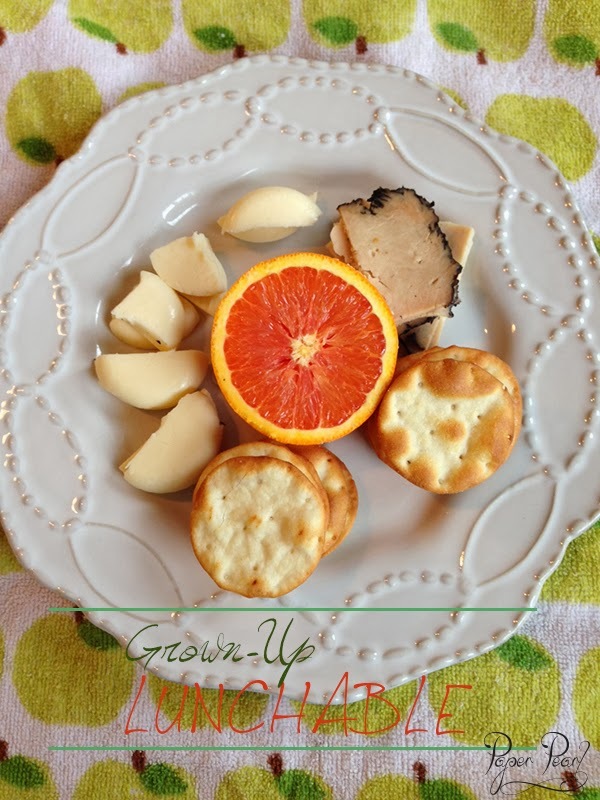 I have been recreating a healthy, grown up version of a lunchable lately and absolutely love it. Instead of carby crackers, I used pita crisps (9 pieces for 120 calories), Babybel cheese cut up into fourths and Boar's Head lunch meat since it has a little less sodium. Have the folks at the meat counter slice the meat a little thicker than you normally would for a sandwich. For my treat, I added half of a Cara Cara orange (my husband wanted the other half, totally fine if you want a whole. I was sharing) but you could add whatever fruit you like. It's so quick and easy to do in the morning, plus it's tasty and leaves you feeling full but healthy…and you get to pretend to be a kid again. What's better than that? Really lovely dish i will make it for my daughter. I hope she will be happy ! !